A1 Amarni Kitchens ~ Sydney. © 2017 A1 Amarni Kitchens. © 2019 A1 Amarni Kitchens. A1 Amarni Kitchens was established in 1993 by Renato Murdocca. Since then, Renato has personally offered client’s an extensive range of designs in quality kitchens and joinery. A1 Amarni Kitchens offers over 20 years experience in both design and consultation. 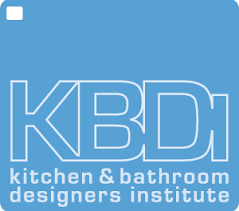 We are a unique and professional kitchen company offering a wide choice of modern, contemporary and classic kitchens. Our joinery can include but is not limited to a kitchen, vanity, wardrobes, laundry, Alfresco and entertainment units. Consultation with our design team will guide you through the ideas and planning of your new kitchen with generated computerised drawings. Our professional installation team will install your new kitchen and joinery to first class standards. To discuss your project in more detail with one of our experienced staff members, call us on 02 9654 3590 to arrange an in home consultation.